Osage Indians settled the area with Delaware, Shawnee and Kaw Indians also hunting here. An ancient Indian trail and over 1,000 prehistoric mounds are in the county. The first white settler was a hunter named Adams who came here in 1839 and quickly sold out to Josiah Howell who came from Tennessee. Howell, the county namesake, is credited with being the first permanent settler. Howell County prospered until the beginning of the Civil War when conflicting opinions made the area a "hotbed" for raiding parties. The West Plains climate is characterized by an abundance of sunshine, low wind and mild temperatures. Spring temperatures range from 50-70 degrees, summers in the 70s-90s. Autumn temperatures match the spring, and mild winters that usually don't dip below 20 degrees. The natural scenic beauty of the spring and fall season cannot be exceeded. The West Plains High School, Middle School, Elementary School and South Fork Elementary comprise the R-7 School system that is AAA rated, the highest rating available in the state of Missouri. Five K-8 school districts serve areas outside of West Plains. The school system strives to create a future for the community by providing modern facilities and equipment and highly qualified instructors for our young citizens. West Plains Missouri and the Ozarks continue to be one of the best places in America in which to live. It is the center of economic growth and activity for the entire region. A very stable economy is created by its wide diversity; the vast selection of industrial firms and jobs, the huge cattle industry, the expanding medical industry, the extensive choice of retail and the steady growth of tourism. With the addition of the Civic Center, West Plains Missouri, has become the center for entertainment, the arts, sporting events, recreation for all ages and wide varieties of conventions, trade shows and meetings. West Plains is a town destined to progress. 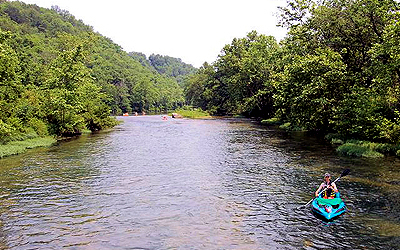 Its residents describe it with such phrases as "Surrounded by the National Forest", "Heart of the Ozarks", "Good fishing and canoeing on beautiful clear streams", "Good quail, deer and turkey hunting". The Missouri Ozarks has just about everything. Norfolk Lake and Bull Shoals Lakes offers great boating, skiing, fishing and swimming. Interesting side trips from West Plains includes historic tours to the many old mills, some of which are still operating; plus short drives to some of the world's most beautiful springs, clear streams and rivers. The natural scenic beauty of the spring and fall season cannot be exceeded. You will also find a wide selection of camping, hiking and picnicking in many State Parks and National Forests. West Plains and the Ozarks continue to be one of the best places in America in which to live.